2. If you do not have a USA Hockey membership number, you can get one by processing your Manager/Volunteer Registration for the 2013-14 season. It is easy to do and there is no charge. Go towww.usahockeyregistration.com and click on ‘Register Now’…check that you are over 18 and select Ice Manager/Volunteer. At the end of the process, you will immediately receive your confirmation number. 3. To access the training click on the link http://training.safesport.org/. Click on the Register button on the bottom right hand side of the page. You will then be asked for your email address as well as a password. In the drop down menu for “Select Organization,” be sure to select USA Hockey. You will then be asked for your membership number, which is your USA Hockey confirmation number. Next, click on the red register button on the bottom left side of the page. You now have an account with SafeSport. You will only need to register the first time to set up the account. Once the account is set up, you will use your email address and password in the sign in area to access the training. Yankton Miracle Hockey follows the guidelines under USA Hockey's SafeSport program as defined below. For more information on SafeSport, go to www.usahockey.com or click on the image below. USA Hockey has long had systems in place to protect its participants from physical abuse, sexual abuse and other types of abuse and misconduct that can be harmful to youth hockey players and other participants. These include without limitation Physical Abuse, Sexual Abuse, Screening, Locker Room Supervision and Hazing Policies, in addition to Codes of Conduct applicable to administrators, coaches, officials, parents, players and spectators. The USA Hockey SafeSport Handbook is intended to update and collect USA Hockey’s various policies to protect its participants from all types of misconduct and abuse. 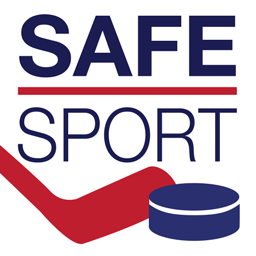 USA Hockey strongly encourages that all board members and other program administrators, even if they do not have regular, routine or frequent access to or supervision over youth participants, complete the SafeSport Training. Programs that extend the training out to their board members and administrators will benefit by strengthening their program and making it a safe place for participants. As the leaders of local programs, board members and administrators should possess the information to monitor their organization and enforce policies, and should also complete the same training as is required for coaches and other volunteers. The SafeSport Training and SafeSport Refresher courses are available to take right now so your program, coaches and other volunteers can get a head start on the season. The training is available at no cost. The training was produced by the United States Olympic Committee and the initial training is comprised of short video segments that take approximately 90 minutes to complete (the refresher course is approximately 35 minutes), however, not all training needs to be completed in one session. You will need your USA Hockey Member Number, which can be obtained at www.usahockeyregistration.com (under Member Options, click on ‘Request Duplicate Registration Confirmation’).